GARDAÍ AND THE ISPCA have shut down a puppy farm in the Carlow area with inspectors describing the scene they faced as “appalling and horrific”. In all, 52 dogs and two horses were removed from the premises in Myshall with the ISPCA reporting that there were dead animals strewn around the premises. The animals were in urgent need of attention and have since been taken to the ISPCA’s National Animal Centre in Longford for treatment. “Even seasoned ISPCA officers found the conditions encountered at this premises truly shocking and it was imperative that the dog breeding operation be shut down,” the ISPCA’s chief inspector Conor Dowling said this evening. The puppy farm had been a registered breeding operation but a closure notice has now been served under the Dog Breeding Establishment Act. It’s the first such closure under the act. The dogs were described as being of mixed breed. “This is an appalling and horrific case. Many of these animals were living in squalid conditions and there were dead animals scattered around the site,” according to the ISPCA’s Dr Andrew Kelly. Kelly adds that the ISPCA is seeking that the Dog Breeding Establishment Act be amended to allow for the random and unannounced inspection of any breeding establishment. Email “'Appalling and horrific' puppy farm with dead animals on site closed down”. 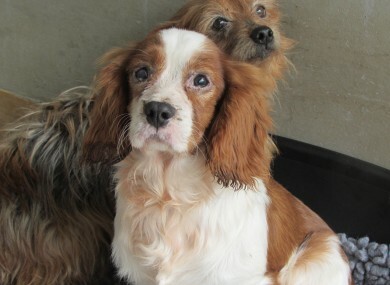 Feedback on “'Appalling and horrific' puppy farm with dead animals on site closed down”.